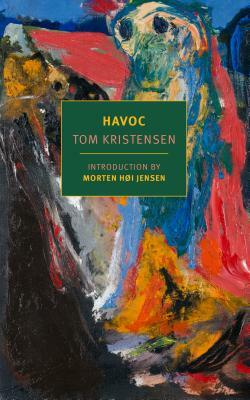 A longtime cult-classic in Denmark, this novel about dissolution and despair has been out of print in the US for over eighty years until now. Ole Jastrau is the very model of an enterprising and ambitious young man of letters, poised on the brink of what is sure to be a distinguished career as a critic. In fact he is teetering on the brink of an emotional and moral abyss. Bored with his beautiful wife and chafing at the burdens of fatherhood, disdainful of the commercialism and political opportunism of the newspaper he works for, he feels more and more that his life lacks meaning. He flirts with Catholicism and flirts with Communism, but somehow he doesn’t have the makings of a true believer. Then he takes up with the bottle, a truly meaningful relationship. “Slowly and quietly,” he intends to go to the dogs. Jastrau’s romance with self-destruction will take him through all the circles of hell. The process will be anything but slow and quiet. Carl Malmberg (1904–1979) translated more than a dozen books, short stories, and articles from Danish, Norwegian, and Swedish, including Carl Erik Soya’s Sytten (Seventeen, 1961) and Leif Panduro’s Rend mig i traditionerne (Kick Me in the Traditions, 1961). A Wisconsin native, Malmberg was also the author of the nonfiction children’s book America Is Also Scandinavian (1970).